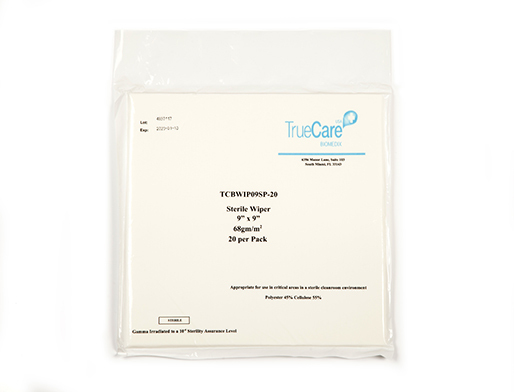 Our sterile cleanroom wipers are Sterile Gamma Irradiated to a 10-6 Sterility Assurance level. They are constructed of an extremely low linting 68gm./sq. meter 55/45 cellulose blend. They are appropriate for critical areas up to and including ISO5 Cleanroom environment. The Cleanroom Wipers feature maximum absorbencies of 20-25 ml., and are available in 9" x 9" and 12" x 12" sizes, and available in different quantities.